FLAC (.flac) and Monkey's Audio (.ape) are quite common in the world of the classical music. Unfortunately, iTunes and QuickTimeX do not decode these audio formats. xLosslessAudio exclusively deals with these two lossless audio formats and allows the user to convert an entire folder containing audio clips of either lossless format and transcode them with an iTunes-friendly format including AIF, AAC (MPEG-4), Apple Lossless, MP3. Select a folder containing audio files (.flac or .ape) to batch-convert them all at at time. Choose AIF, AAC (MPEG-4), Apple Lossless or MP3 as an export format. Click on the button to download a demo/trial version of xLosslessAudio for Mac OS X 10.6. When the user opens a media folder containing files with known illegal characters in names, the Next button will be disabled. Click on the Reload button or choose File > Reload to reload the current media folder. Choose File > Drop to unload the current media folder. A few other minor changes are done. Please note that it may take Mac App Store several days to weeks or even months to approve a software update. 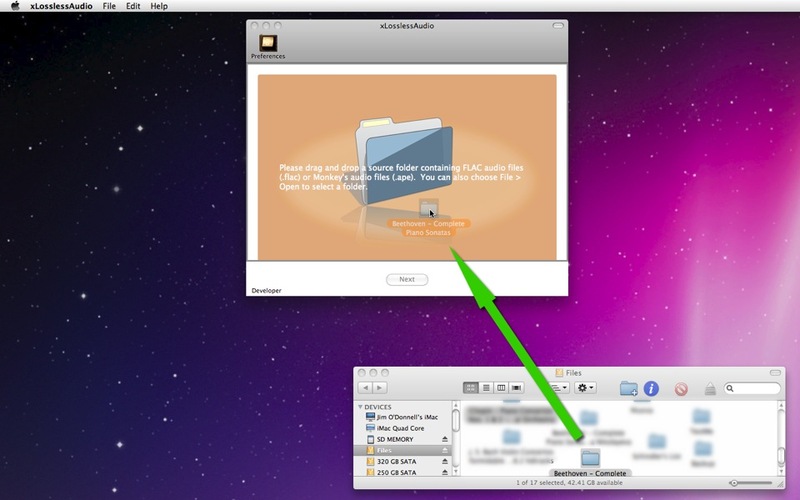 The application prevents the user from selecting a destination folder that is the same as the source. The application prevents the user from selecting a destination folder that is a volume itself. Some of the Help menu commands are now accessible while the export window is open. The application is compatible with Mac OS X 10.7.0.
xLosslessAudio is a product of MacHouse.